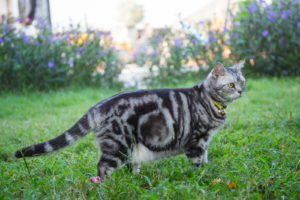 The American Shorthair has a short dense coat that might seem to take care of itself, but can get dirty with time. Consistent brushing will help to maintain its natural splendor (especially during shedding season). Brushing is recommended twice a week or so just to get rid of dead skin and hair, and also to evenly distribute their natural skin oils. In general, baths are not necessary very often. You should only submit your Shorthair to a bath and perhaps shampooing when its coat is very dirty. You can also choose a schedule depending on the weather. 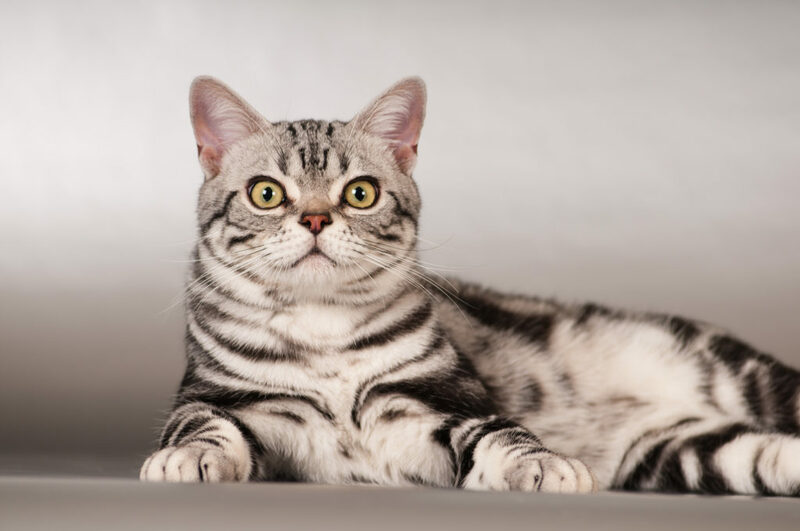 American Shorthairs are usually cooperative, but you should consider using a vet or breeder-recommended professional groomer. Only use safe shampoos and take extra care to ensure no soapy water or shampoo gets in contact with its eyes, nose or inside the ears. Brush your American Shorthair’s teeth regularly to avoid periodontal disease that the breed is vulnerable to. Shorthairs should ideally have their teeth brushed weekly, but at least every two weeks at a minimum. Clean around its eyes whenever necessary, check its ears and periodically wipe the insides clean with a damp cloth. Always look out for skin inflammations, infections or rashes when grooming. Grooming is not exclusive of meals and exercise. Your Shorthair will need regular exercise because it is fond of eating and can easily become obese. It has evolved from a hunting cat so is naturally strong and athletic, but as a modern indoor cat it can easily become a sedentary couch potato.